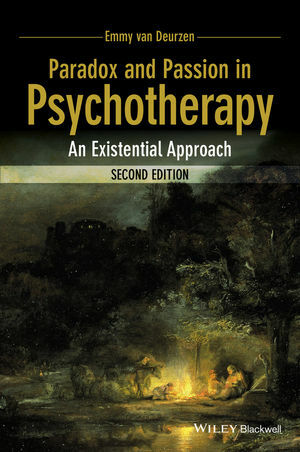 Paradox and Passion in Psychotherapy , second edition, is a fully updated edition of a classic guide to existential psychotherapy by one of its leading practitioner. Emmy van Deurzenis a Philosopher, Counselling Psychologist, and Existential Psychotherapist. She founded the School of Psychotherapy and Counselling at Regent’s College, UK, the Society for Existential Analysis, and the New School of Psychotherapy and Counselling, of which she continues to be Principal. She lectures worldwide and is currently Visiting Professor at Middlesex University, UK. She was the first chair of the United Kingdom Council for Psychotherapy, and was instrumental in establishing the existential approach in the UK and Europe. Her books include Existential Psychotherapy and Counselling in Practice (3rd edition, 2012), Psychotherapy and the Quest for Happiness (2008), and Everyday Mysteries (2nd edition, 2010).